Mr. Fish and his friends have noticed something strange in their ocean―a big, big MESS! How did it get there? What can they do about it? The closer they look, the more they see where the mess came from . . . and they'll have to work together to get rid of it. 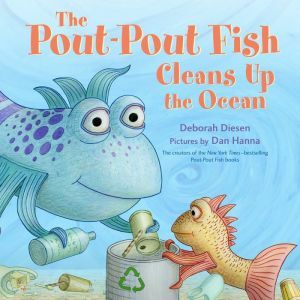 This newest jacketed hardcover in the New York Times–bestselling Pout-Pout Fish series will teach little guppies how to take responsibility for their actions and for the environment.